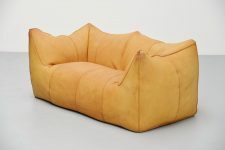 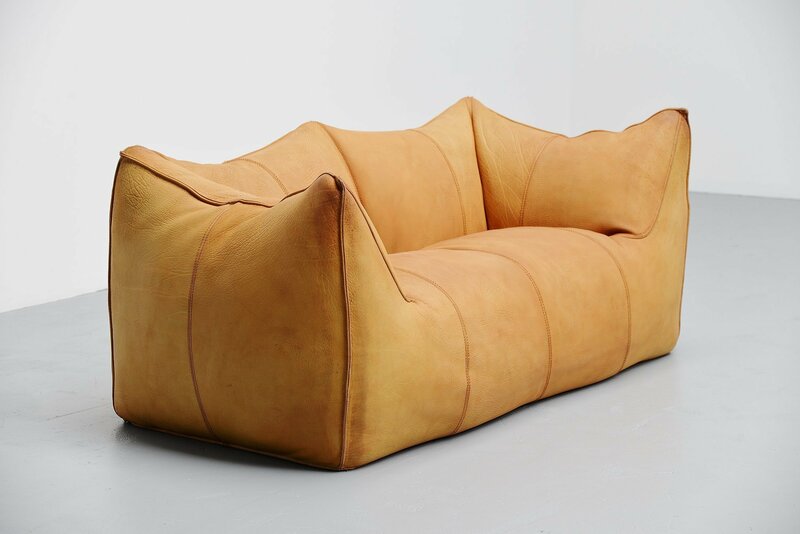 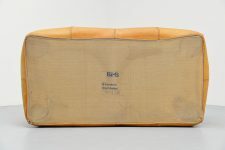 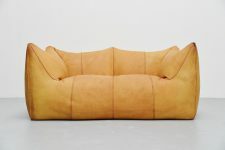 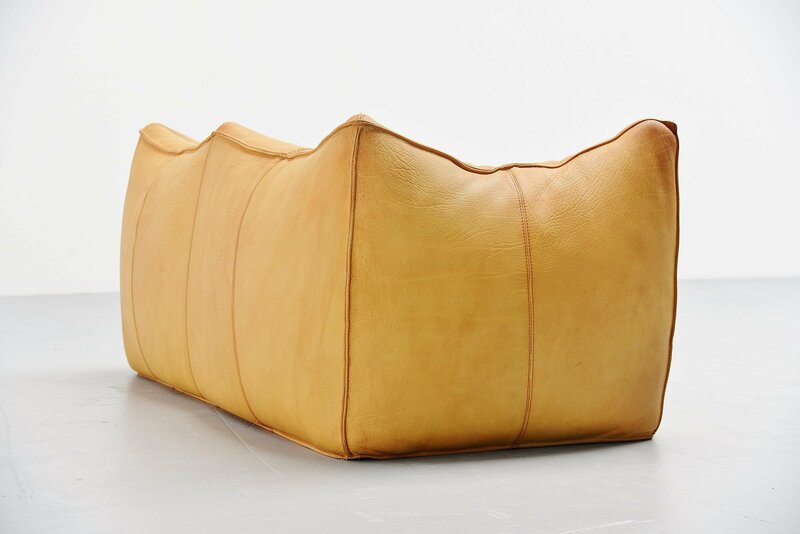 Super comfortable 2 seater so called ‘Bambole’ sofa, designed by Mario Bellini and manufactured by B&B Italia in 1976. Very nice and high quality usable small loveseater sofa. 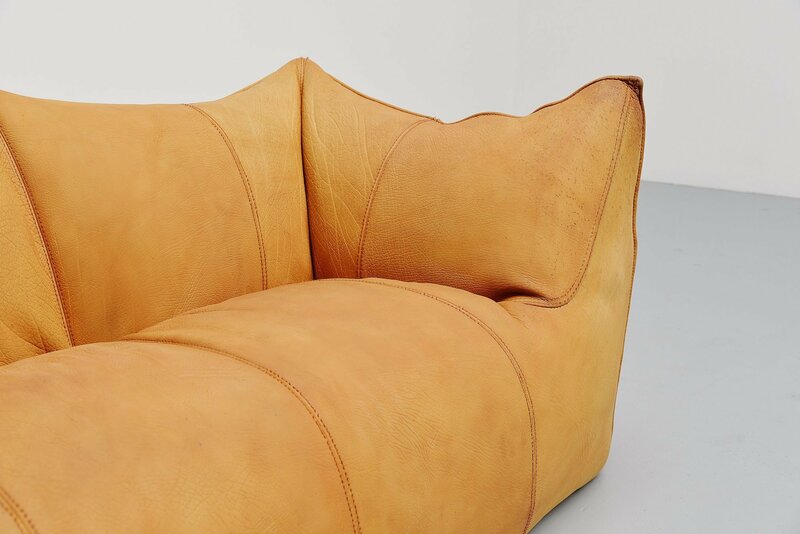 Very nice shaped sofa made of very thick and high quality natural buffalo leather. 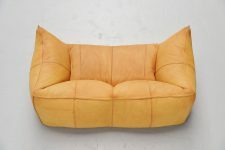 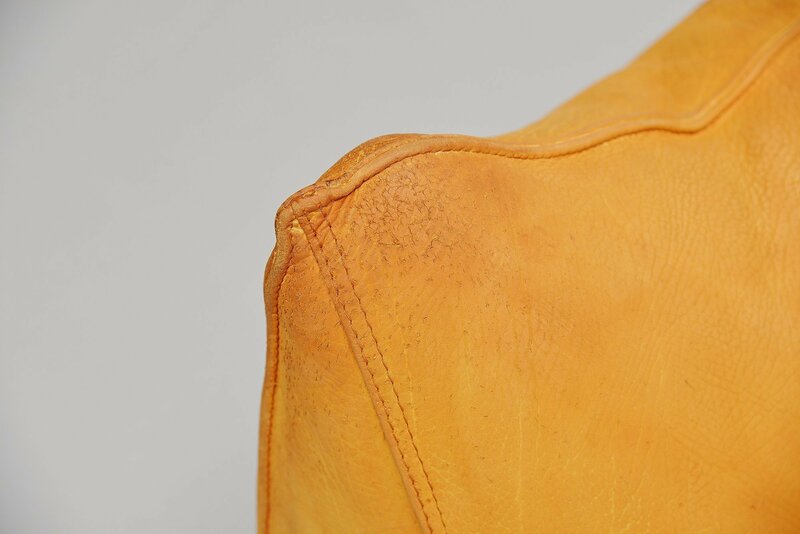 This natural leather sofa has an amazing patina from several years of usage but still is in good condition without holes or tears, normal wear due to age and usage! 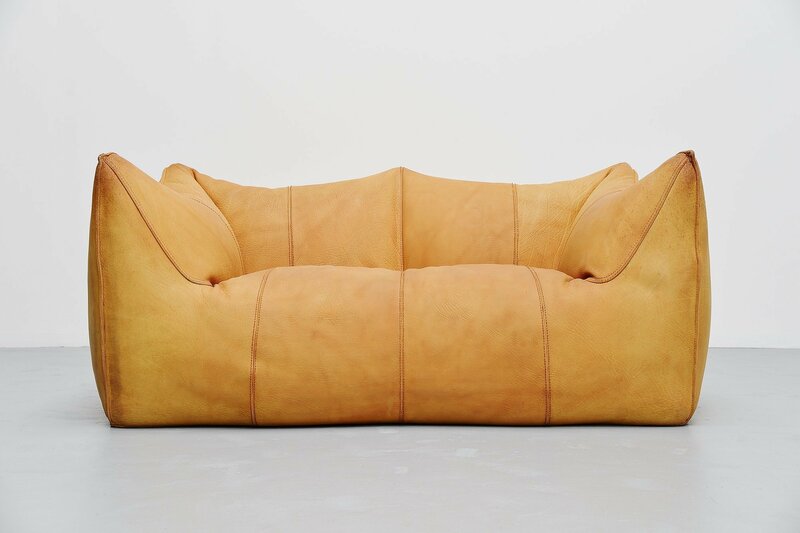 This sofa is highly wanted because this seats fantastic. 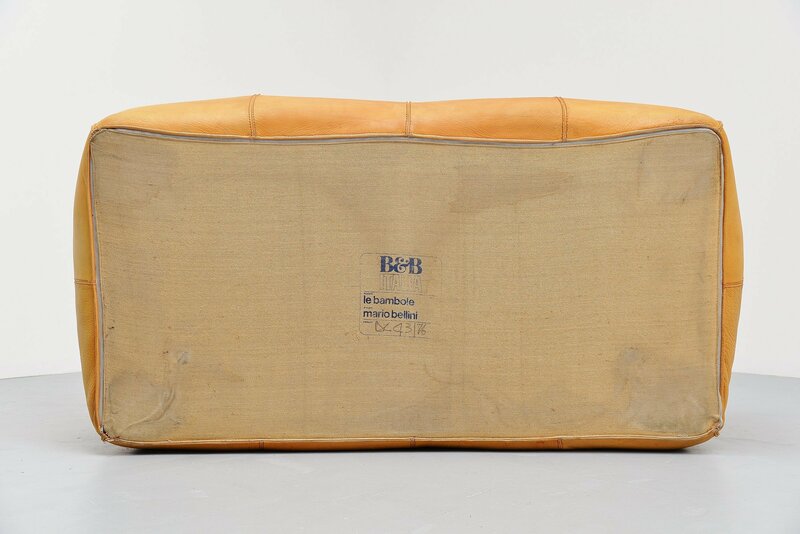 Sofa is marked on the bottom ‘B&B Italia, le Bambole, Mario Bellini’ and date, this specific example is from 1976 so an early one.